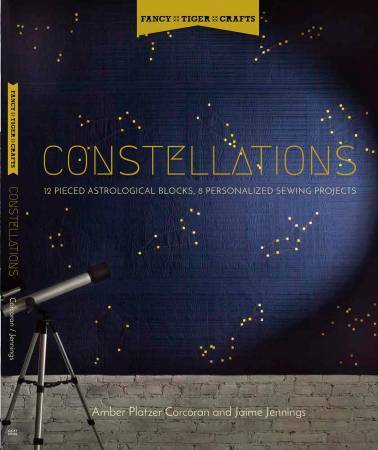 In Fancy Tiger Crafts: Constellations, patchwork quilting meets the celestial sky and the result is a clean, elegant style with a cosmic touch. This whimsical book opens with illustrations on how to create a quilt block for each of the 12 astrological star signs before transitioning into 7 one-of-a-kind projects, including a bed quilt featuring all 12 astrological blocks, a constellation table runner, a patchwork tote, and a jacket. As a bonus, also included are instructions for creating a special block featuring the elegant Orion constellation. The easy piecing makes this perfect for the beginner through the intermediate sewist who is looking for a unique take to celebrate their star sign in style.